The Daily Mail has published a wonderful story about the arrival of The Black Mambas Anti Poaching Unit in the UK this week. 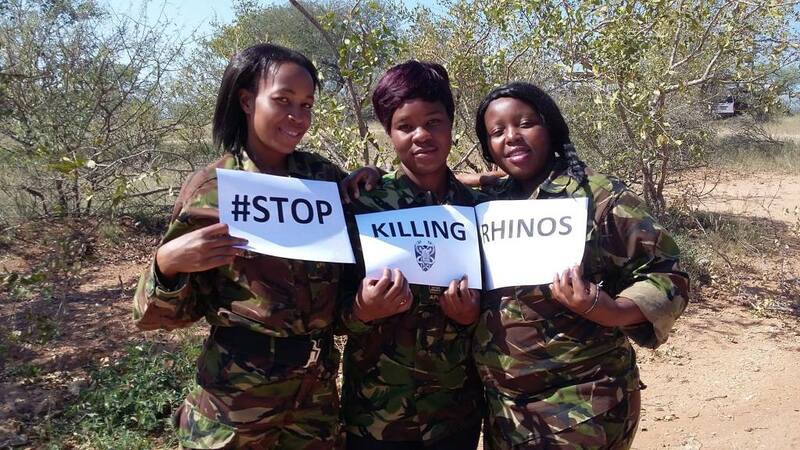 The Black Mambas are visiting the UK to conduct talks, accept a prestigious Helping Rhinos award in front of members of royalty and also to attend the screening of the conservation short film produced and narrated by renowned producer and TV presenter Nigel Marven and fronted by yours truly. The Mambas touched down on British soil this Sunday and will be busy touring to London Zoo & Port Lympne Park to talk about rhino conservation, as well as appear on a brilliant radio show BBC Radio 5, hosted by animal advocate Nicky Campbell. To book a place to meet the Mambas tonight at 6pm at Port Lymphe in Kent, follow this link, there’s still time!